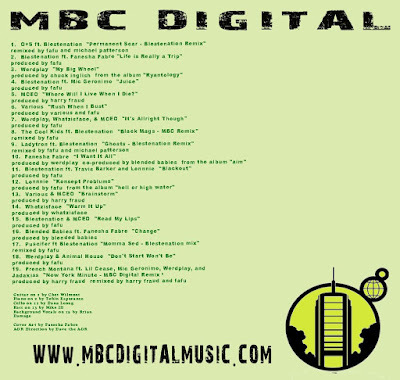 As promised, BLESTeNATION have released their new mixtape over at mbcdigital as a FREE FULL ALBUM DOWNLOAD, and this is one of their most anticipated releases ever. The album includes appearances by: O+S, Fanesha Fabre, Mic Geronimo, MCEO, Whatzisface, The Cool Kids, Ladytron, Travis Barker, Lonnie, Blended Babies, Puscifer, Animal House, French Montana, Lil Cease, and Jadakiss. 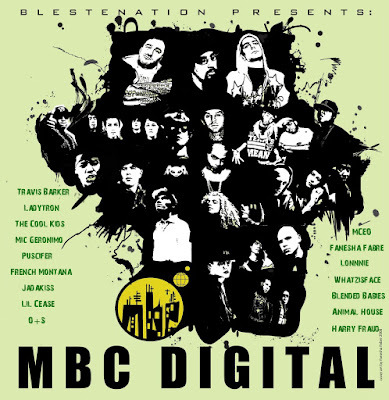 BLESTeNATION presents MBC Digital features production and remixes by Fafu, Michael Patterson, Chunk Inglish, Harry Fraud, Various, Werdplay, Blended Babies, and Whatzisface. Also look out for Werdplay's solo release titled Ryantology coming soon.